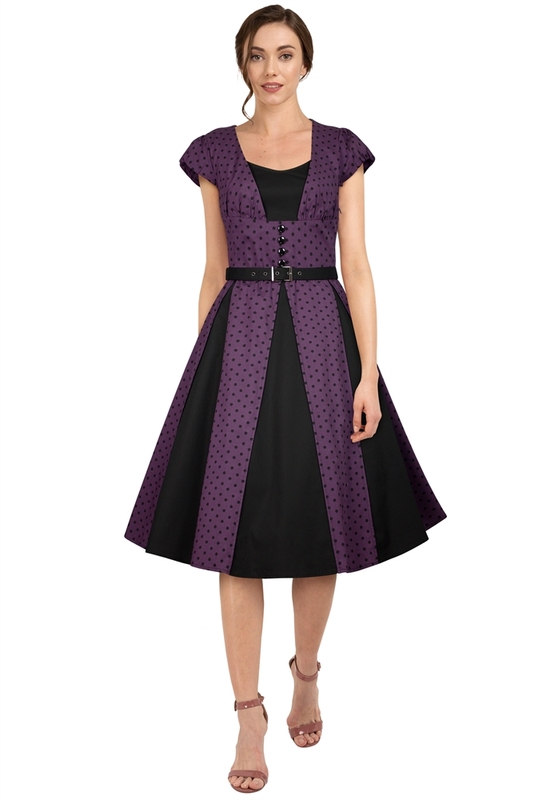 It's a retro flared dress with panels in bust and skirt. Buttons and belt in waist. Side zip. Standard size approx. length: 41 inches; Plus size approx. length: 45 inches. Hello Helen, The TNT tracking# is 600232006, you will receive it very soon. Thank you. Hello Helen, We have all sizes of this dress in stock now. Thank you. Hi, are you going to be producing more of these?